We seek to understand the assembly, properties and (dys)function of intracellular states of matter, and how they impact the flow of genetic information. 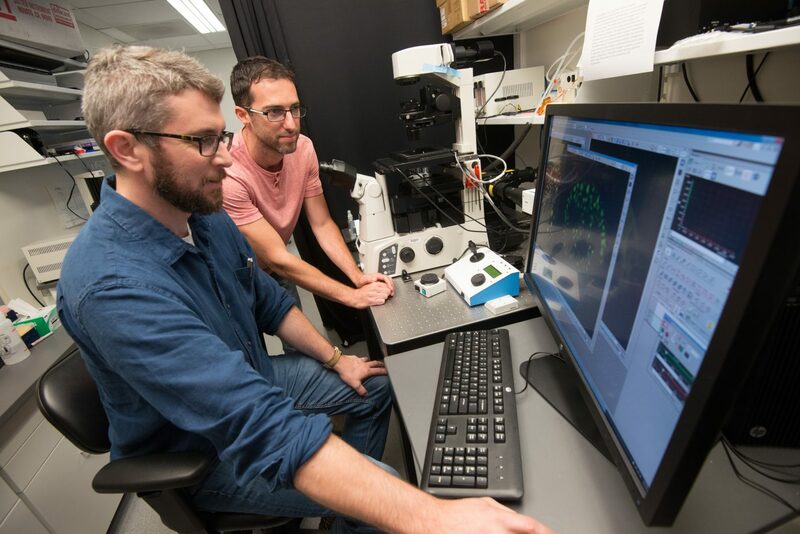 We aim to foster continual innovation - new tools, concepts, & techniques - to understand and manipulate not only intracellular phase transitions, but also to elucidate and harness aspects of biological organization yet to be imagined. 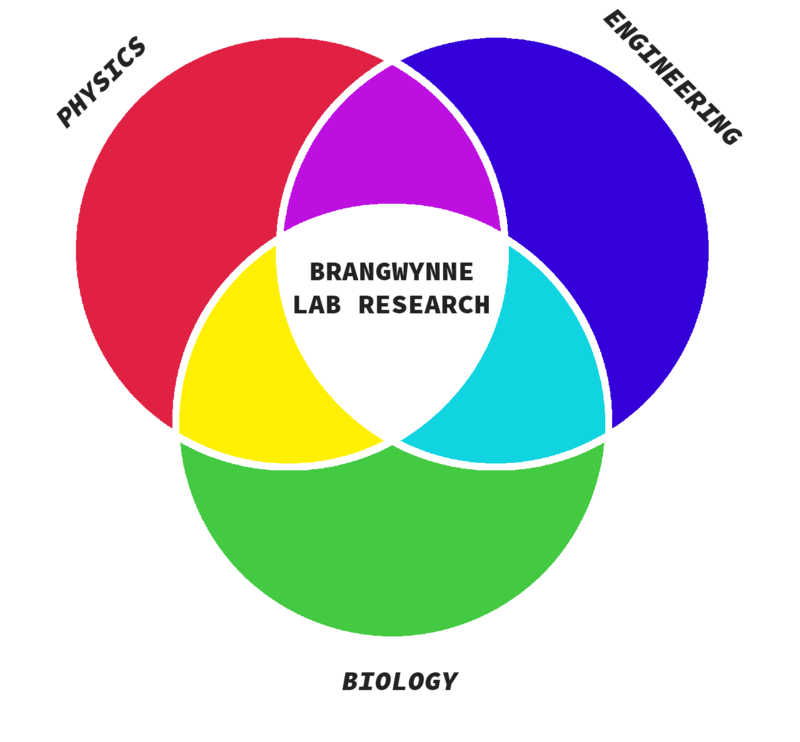 We aim to pursue these frontiers of knowledge within a fun, energetic, and dynamic lab, with mutual respect for one another’s diverse backgrounds and viewpoints. Biological systems are the most richly textured forms of matter in the universe. As a result, their understanding requires a pan-disciplinary approach that transcends traditional boundaries that distinguish chemistry, physics and biology. We also recognize that only through technological innovation can we make progress in our understanding of the basic processes of nature. We thus put as much effort into technology development – engineering – as we do to our focused efforts on basic science. This rich interplay between science and engineering is a cornerstone of our work. Working at the frontiers of knowledge can sometimes make us feel we are on shaky ground. We embrace that feeling, because it is often exactly what it will feel like on the verge of discovery – something does not make sense, and it creates a sort of tension that is resolved through discovery. This is the spirit of adventure that we take into our work – we are not always certain where a new trail will lead, but we are certain that it will be interesting and novel.